Some people really believe that books are out of place in the age of mass media and rapid technological advance. They sincerely think reading to be just an old-fashioned hobby. There is no a single word of truth in this assumption. In the past, we already faced a similar misconception. When TV became very popular, many specialists foretold a quick death of books. Nevertheless, books are still with us, and there is no doubt that people will continue reading papers. If you love books, you can’t but agree that nothing can be compared with the refined pleasure of reading an absorbing book. 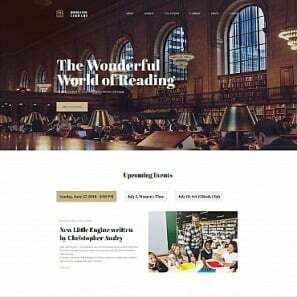 Therefore, if you want to promote your love to books, we will help you to make a book website that matters! Share your genuine love for this wonderful world of the printed word with others! Use the best achievements of modern digital technologies to make books even more popular! 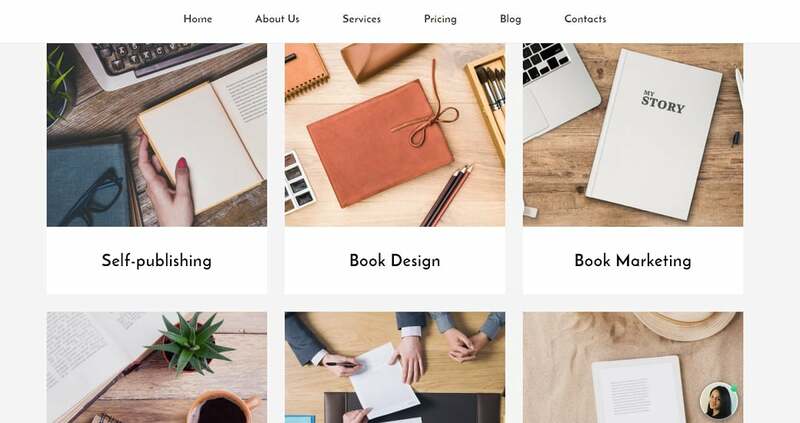 MotoCMS supports your desire and offers a beautiful collection of books website templates which will help you make a book website you dream about effortlessly. 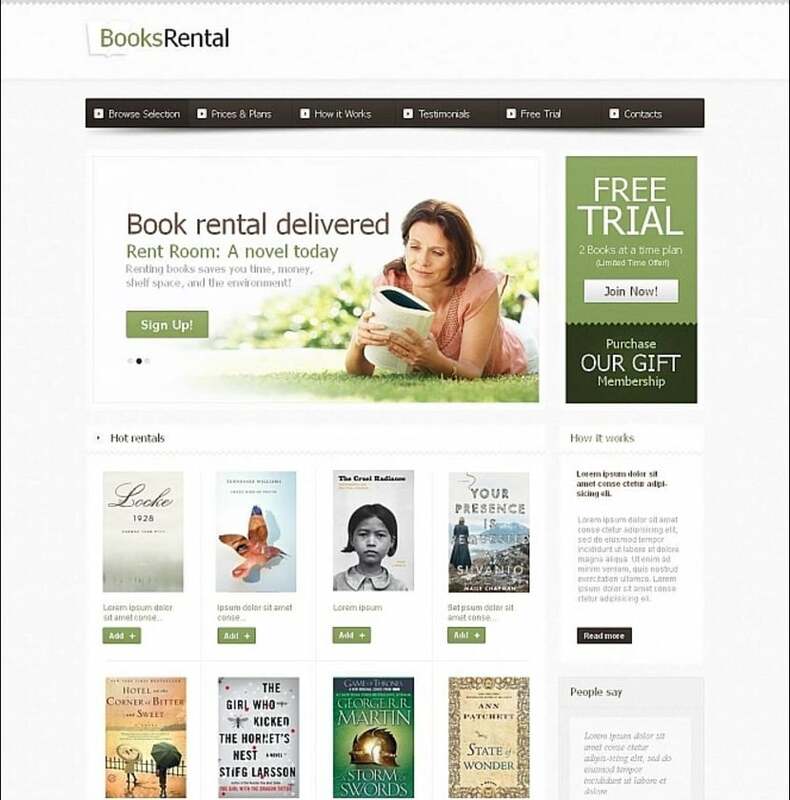 Basically, book websites are able to carry out multiple tasks. 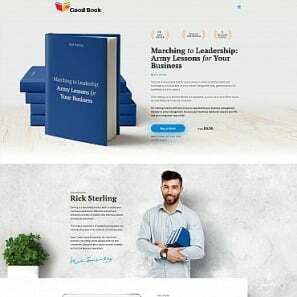 Let’s discuss how to create a book website which will answer a particular need. First of all, use your home page to state your goal clearly and plainly. Show the advantages your customers will get and how will benefit from your cooperation. Reading and writing are peaceful occupations which require calmness and concentration. Thus, support this positive image by using mild colors and inspiring images. Sharp contrasts are not a way to go with such a website. Motivate your visitors by posting testimonials of your satisfied clients. In addition, such information helps to show that there is nothing to be afraid of and that success is a real thing. In fact, the main problem with novice writers is a lack of confidence. Help your clients get more self-assurance. Educate and encourage them by supplying with useful information. It is simple as that with the help of a subscription form. Fortunately, MotoCMS gives you handy tools to complete this task in no time. Seize this opportunity and keep your clients enlightened. Give extra attention to specifying your services. 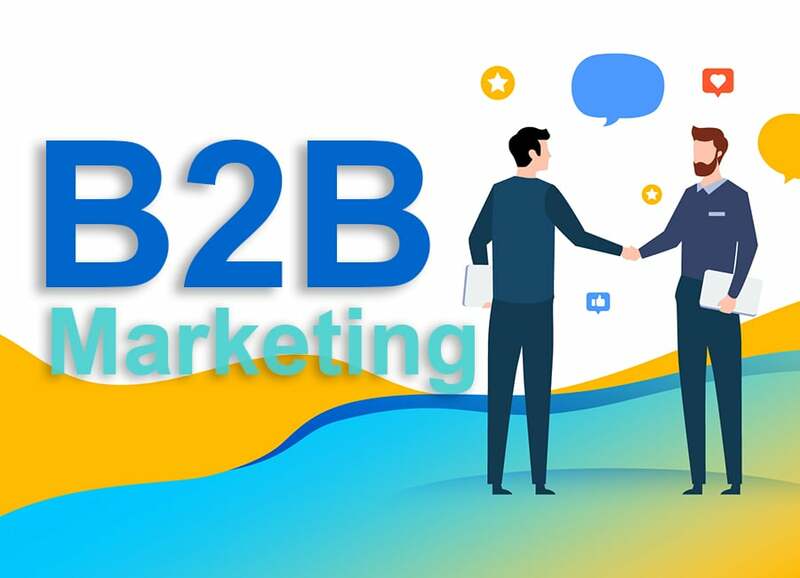 Attempt to provide your customers with a good spectrum of them. The wider the choice of the services you fulfill, the better chances to succeed with the book website you have. Be aware of the simple fact that very few beginner writers have a lot of money. Most of them need to be careful about their expenses. Take it into consideration while thinking over the pricing strategy. Be fair about the pricing from the very beginning providing your prospective clients with all the details. In addition, try to offer multiple variants for different budget capacities and create a flexible system of discounts. For example, have a look at MotoCMS Publisher Website Template. 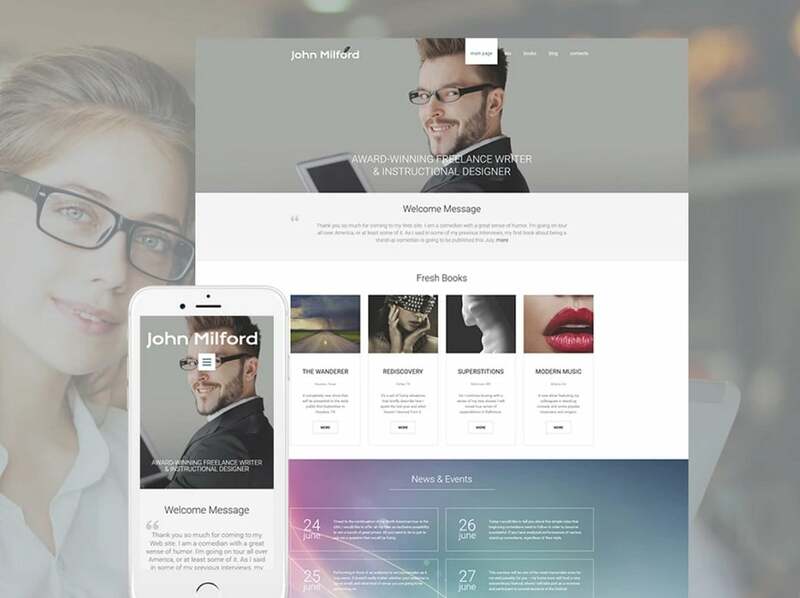 This breathtaking web theme will assist you in launching your new book website in the simplest way. Whether you like it or not, writers are public personas. 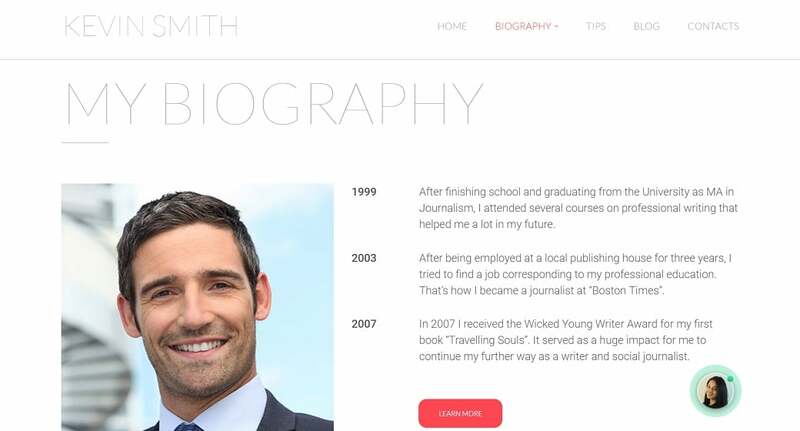 Include your detailed biography and tell everything about your career. Add the photo of yourself. It may be a demonstration of your professional work or an occasional shot. Give the particulars about all the projects you participate in. 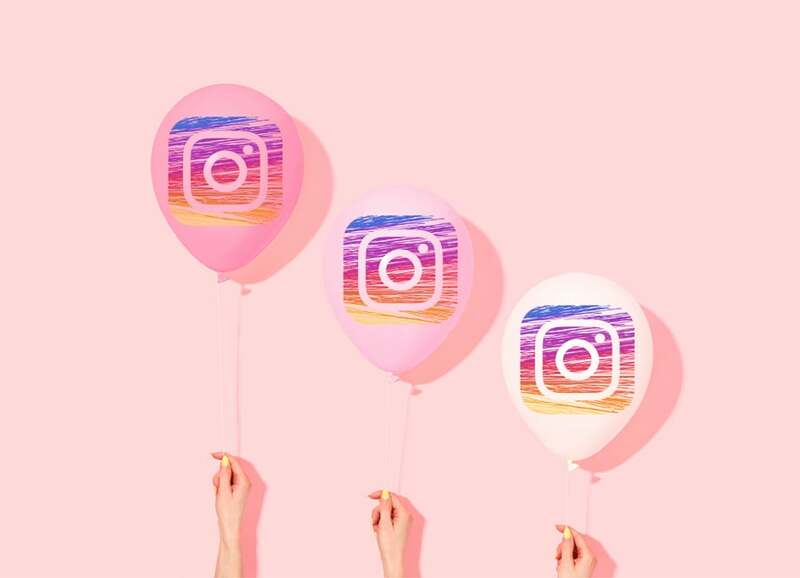 Most modern people prefer visual representations, so uploading different pictures as illustrations for the text is an excellent idea. Entertain your visitors and they will return for sure. 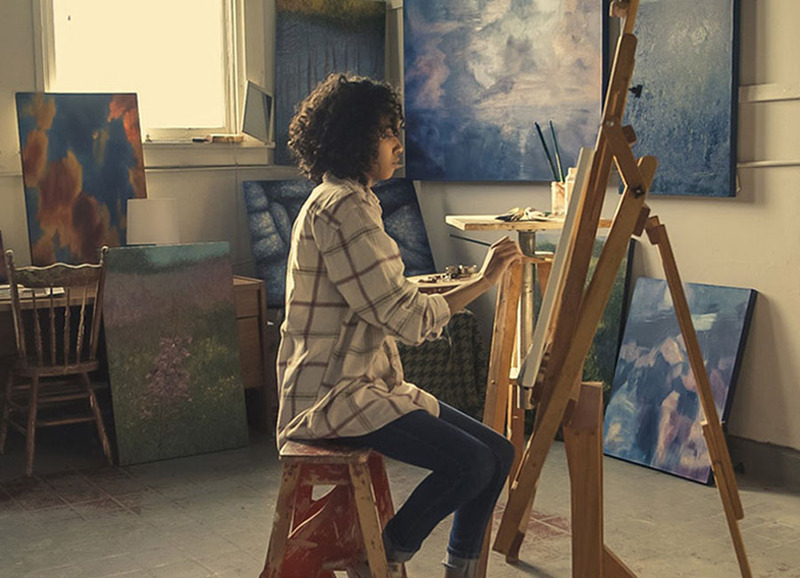 Keep your audience informed about all the latest events in your creative activity. Provide them with the links to your articles published in deferent resources. Boast about your achievements such as prizes and awards. 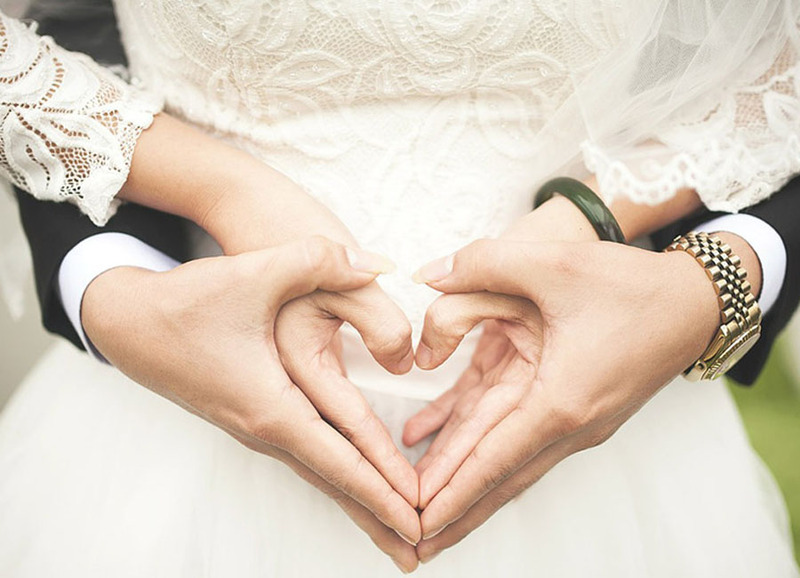 Don’t feel shy to show your visitors how active and successful you are. 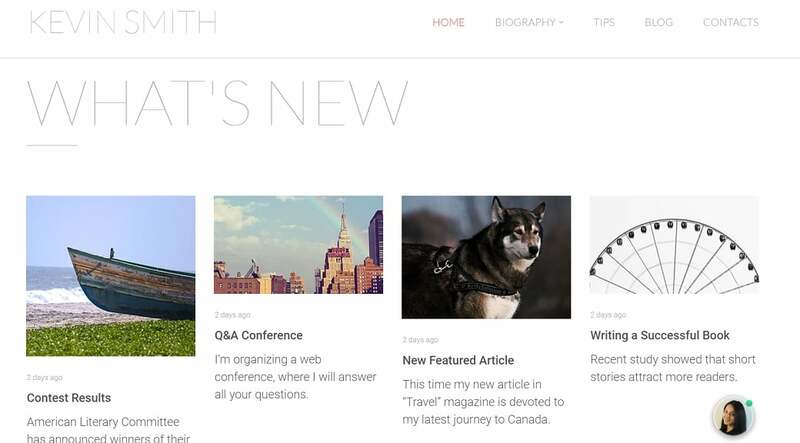 In fact, your own blog is a must-have for you. This is the right place to demonstrate your talent and win a new bigger audience. Use this opportunity to the full. It is very easy with the MotoCMS admin panel. Take care to add fresh posts regularly and keep all the information updated. That’s how you will tell your visitors that you are a devoted professional. Share your knowledge with newcomers if you are an experienced writer. Let them write to you. Be open, communicate with the visitors, and always answer their questions. For sure, people will appreciate such an attitude and visit your site more often. New contacts which will provide you with fresh opportunities is what you are certainly looking for. For this purpose, make sure your contacts are clear and understandable. It is also wise to give more than one way of getting in touch with you. 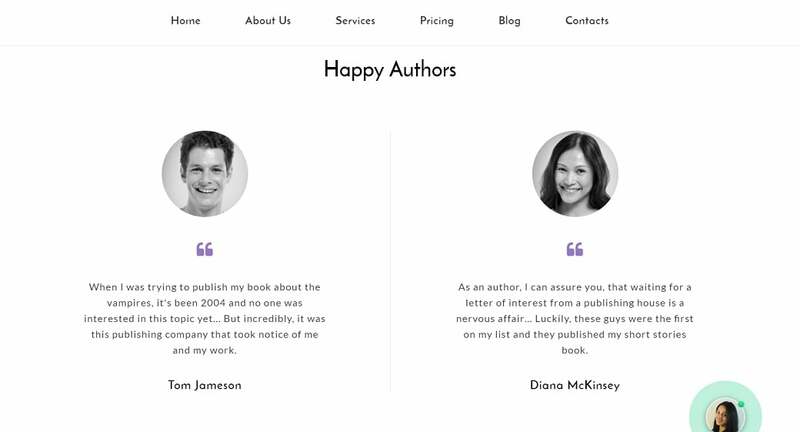 Author Website Template for Professional Writers is a way to go if you want to save time and get an excellent writer’s website. 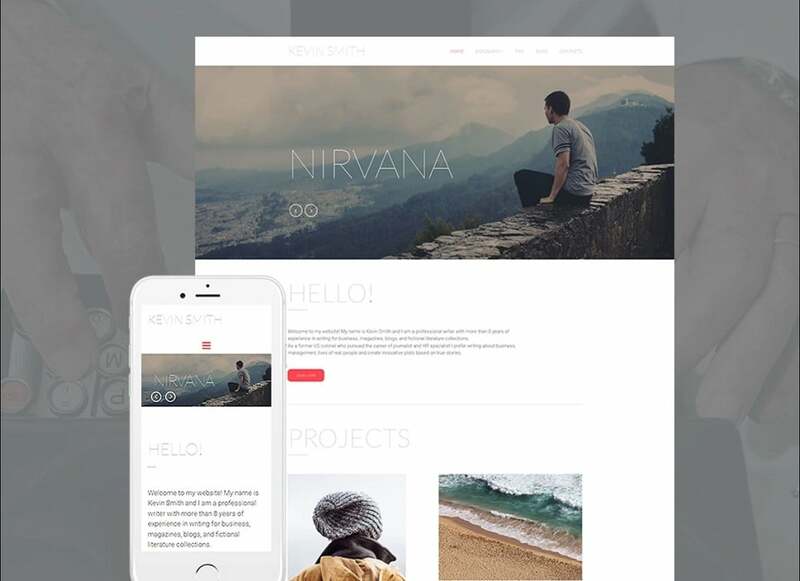 You definitely need to try this template to see how wonderful it is. 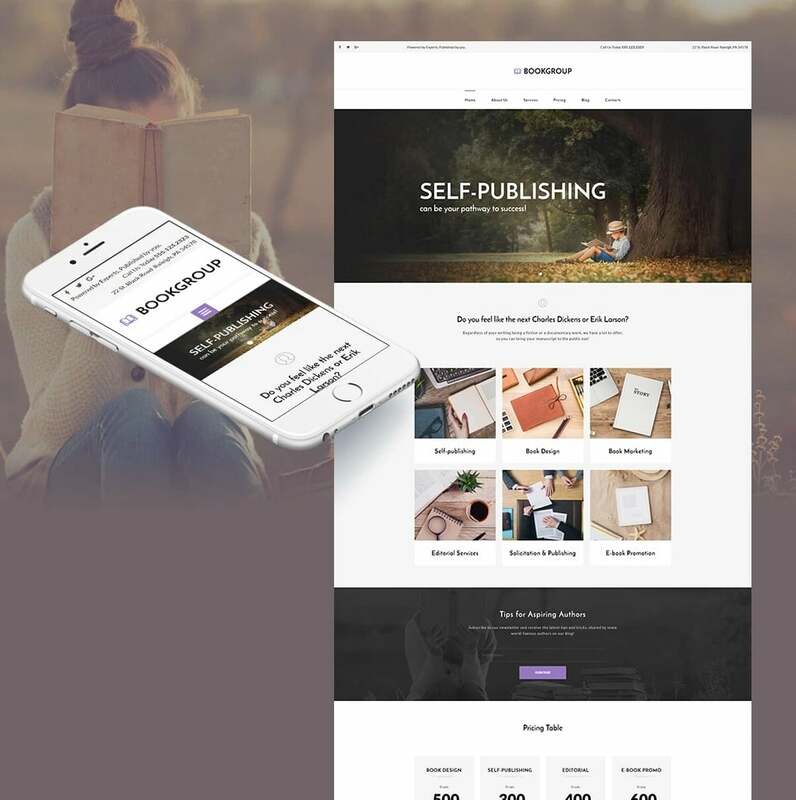 MotoCMS has something for every type of activity connected with books and reading. 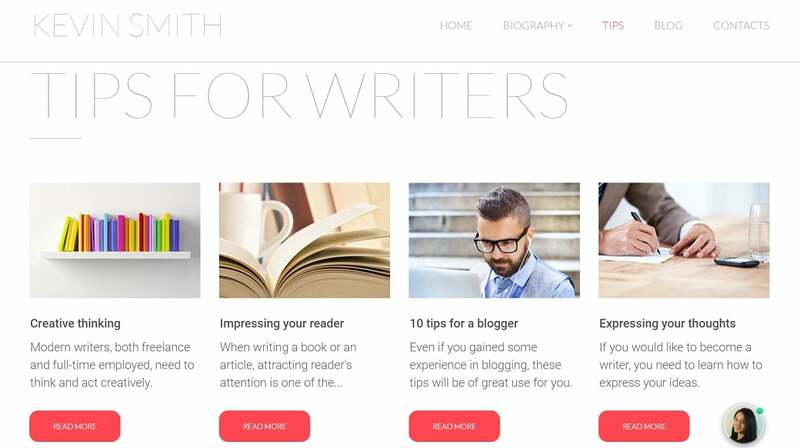 There are some awesome templates for freelance writers and editors like this Author Website Design for Editors and Writers. 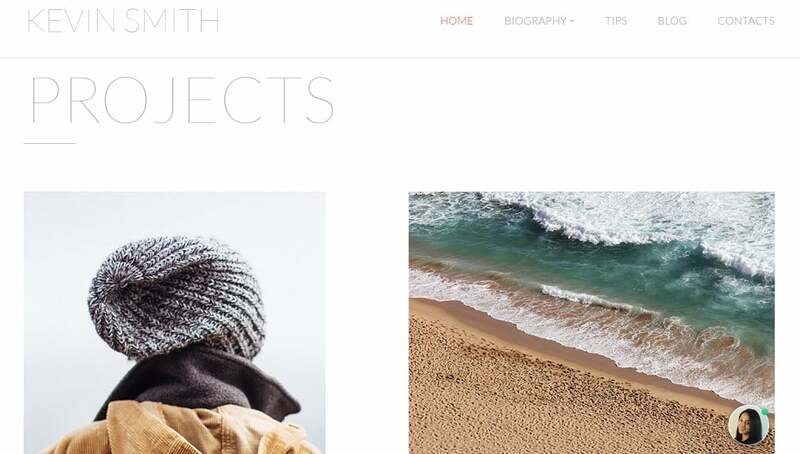 It is a great example to make a book website that brings profit! 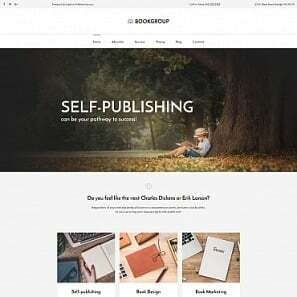 If you are an owner of a bookstore, consider trying Book Store Website Template with a Content Slider. 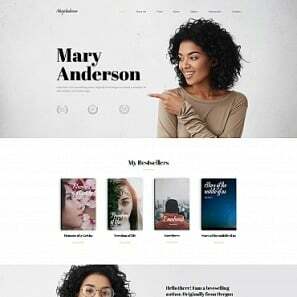 Well, now you know everything on how to make a book website! And do, please, note that MotoCMS offers you a free 14 day trial period for any template you choose. On top of that, if you decide to purchase the theme, all the changes you have made will still be there for you.